Standard edge profiles are included in the cost of fabrication and installation. We provide custom edges for an additional charge. Click on the examples of edge profiles below and choose which granite edge profile will complete your next granite project. A standard, classic edge profile. The small, rounded edge works best on small and large work spaces. 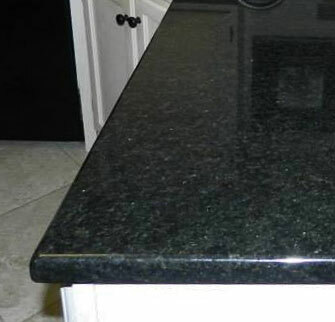 This standard edge adds a classy touch to your countertops. The rounded edge works best on small and large work spaces. The perfect, round edge to your new quartz or granite countertops. This large rounded edge works best in small and large work spaces. 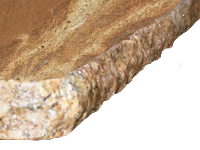 Complete your granite or quartz countertops with this small beveled edge profile. The small, beveled edge works best on small and large work spaces. The perfect edge to your new quartz or granite countertops. The beveled edge works best on small and large work spaces. A custom edge profile. This large, rounded edge will look great for years to come. A custom edge profile. This completely rounded edge puts the final touch on any granite countertop installation. A custom edge profile. 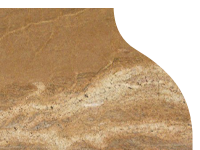 This classy, ageless edge will look great on any granite countertop installation. A custom edge profile. This large beveled edge will look great on any modern granite countertop installation. A custom edge profile. This unique, organic edge will look great on dark or light granite countertop installations.